When I bought my first domain name, I have no idea what I was doing. I only bought a domain name without hosting and never used it for its entire lifetime. I wish there was somebody who would have told me what I needed to know so that I could make the best use of the name that I bought. I would have moved faster and would have achieved what I wanted without the hassle that I went through. 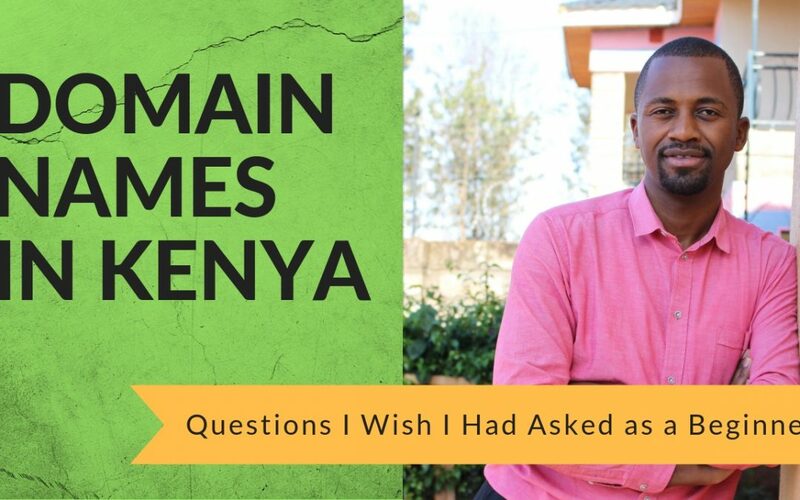 So to help all the beginners who are new to domain names, I’m going to discuss the questions that I wish I had asked as a beginner when buying my first domain name in kenya and the answers that will help you make the best use of your domain name once you purchase it. So let’s jump into these question and try to answer them in the best way we can. 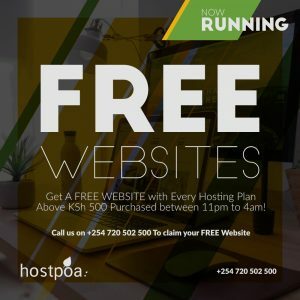 the answers to these questions are based on my experience as a web designer and the work that we do here at hostpoa. A domain name is an address where anyone on the internet can be able to find you or your business when they type on a browser. It has an extension like .com or .co.ke after it. 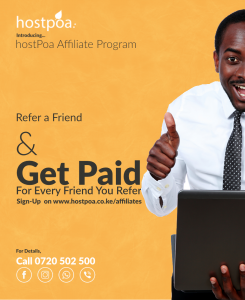 For example host poa’s domain name is hostpoa.co.ke. A good way of describing an domain name is thinking about a number plate. a number plate is a way of identifying a specific vehicle in a certain jurisdiction. For example, in Kenya KBB 850J is the number plates to a specific vehicle in the country. It doesn’t matter whether it’s a lorry or a small saloon vehicle it will still be identified with the same kind of number plate. In the same way a domain name is the registration of a specific address and it can be a large websites like google or a small business website. They both are identified using their domain names. Continuing in the new glass stration of the number plate and vehicle, a domain name would be the number plate and the website being the vehicle. The server that we were referring to in the previous section is the web hosting. a server is basically a computer that is connected 24-7 to the internet and can be located using a specific address which is the domain name. You would use a domain name to access a specific computer where either emails or a website is stored. When choosing a domain name in kenya it is very important to ensure that your domain name is descriptive and can be easily remembered. If you are an established business that is already well known outside of the internet it is important that you choose a domain name that has the same name as the brand name that you use offline. This will help you to avoid confusing your clients who already know your brand name and would ordinarily type that name on a browser when searching for your website. 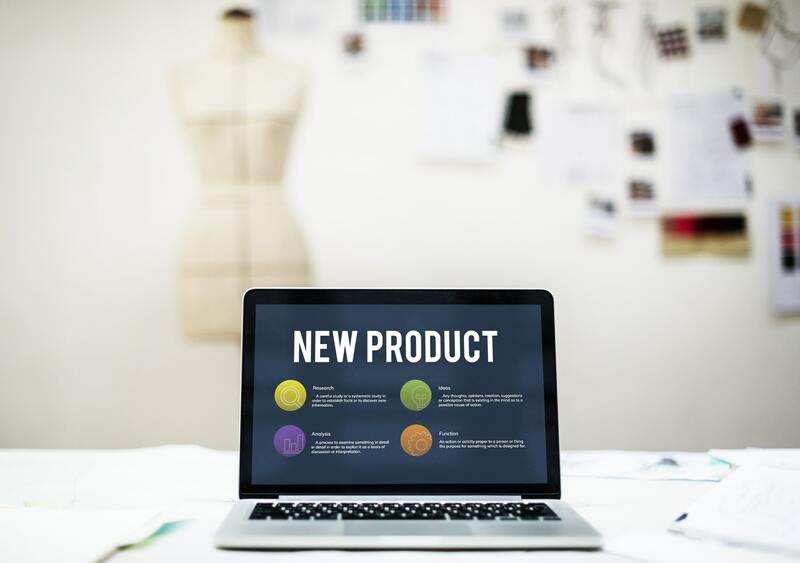 If you are just starting out and have not established yourself offline, a good way to go would be to choose a domain name that describes the kind of service or product you provide. This will help anyone looking for the particular service that you provide to quickly know that you provide that service when looking through search engine results on Google. Your domain name is your business’s identity online. This means that if you have done a good job in choosing a domain name that accurately and effectively describes the products and services you provide, you will succeed in gaining more customers online. Conversely if your domain name is confusing or does not accurately describe the kind of services you have your potential customers are likely to be put off and fail to visit your website just based on your domain name. Now this depends on whether your business is focused on being local that is canyon or is targeting an international audience. If your website targets an international audience that is wider than kenya comma I would advise that you go for a .com domain name because this will help you reach your audiences without confusing them as to whether your website is relevant for what they are looking for. On the other hand, if you are audience is primarily kenyan it would be very useful to have a .co.ke domain name because this will let your website visitors know that your website is more relevant for them than other international websites competing with you. The best practice is to go for a domain name that is as short as possible but as descriptive as possible. The reason you want to keep your domain name short is because you do not want your website visitors to strain when typing out your domain name on the browser. On top of this having a very long domain name creates all sorts of challenges when using things like emails. An email with a very long domain name may not be easy to put on a business card or on other marketing material. You should try as much as you can to avoid using hyphens or underscores in your domain names. This is because it is easy for a a customer to get confused and miss spell your domain name when typing it out on a browser. when choosing a registrar to buy your domain name u needs to ask a few questions. Does the domain name registrar also offer hosting? Is the hosting that they provide of good quality? Do they provide 24/7 support to their clients? do they charge extra hidden fees on top of the advertised price? Is their service automated and will you receive automated emails when your domain name is about to expire? Once you find satisfactory answers to these questions then you can choose the domain name registrar that has the best price with the best value. 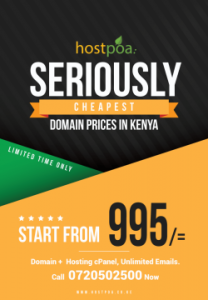 hostpoa provides high quality web hosting and some of the most competitive domain name prices in Kenya. Our services have received some really excellent reviews on google and we provide 24/7 support to all our clients. Domain names whether local or international are transferable from one web hosting company or one registrar to another. To transfer a domain name, all you need to do is request your hosting company to provide you with an epp code. An Epp code os a line of text that provide authorization to whoever has them to move a domain name from one registrar to another or from one owner to another. It looks like a complex password and it is all that you would need to move the ownership of one domain name from one registrar or owner to another. It’s for this reason that you needs to very carefully handle your epp code to ensure it does not land in the wrong hands. if you’re not careful about who has your epp codes you may possibly lose your domain. When a domain name expires, it usually goes into a state of suspension. this is usually a period of about a month where if you pay for the domain name you will be able to get it back. No one else is able to to buy domain name at this period of time and you have the exclusive access to it. Once this 30-day period elapses, you will no longer have access to your domain name since it will be released to the general public. At this point anyone in the world can purchase your domain name and you will have to compete for the purchase price of the domain name at this point. It is really important to pay for your domain name on time to ensure that it does not go into the suspended state and if it does get there it is completely imperative for you to pay for it within the 30 day period or else you stand to lose it. It’s usually really sad to see a business lose a domain name that they have worked for years to build and would have to pay a large amount of money to be able to recover it from cyber squatters. 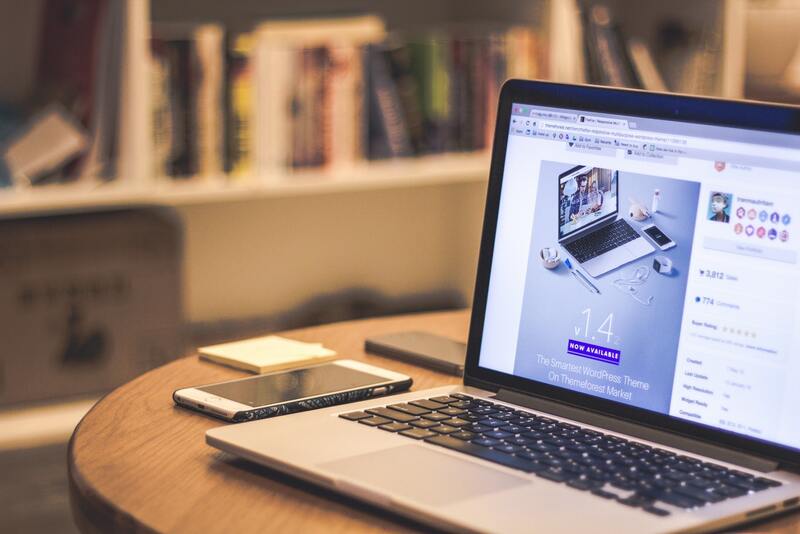 when you are a small business you may not make financial sense for you to buy all the domain name extensions for your particular domain name. For example if you own anthony.co.ke, give me not make sense to also by anthony.com anthony.io anthony.info and so on. this is because each domain name would become a recurrent expenditure that you’d have to pay for every year and if your brand name is not well established this may be quite unnecessary. 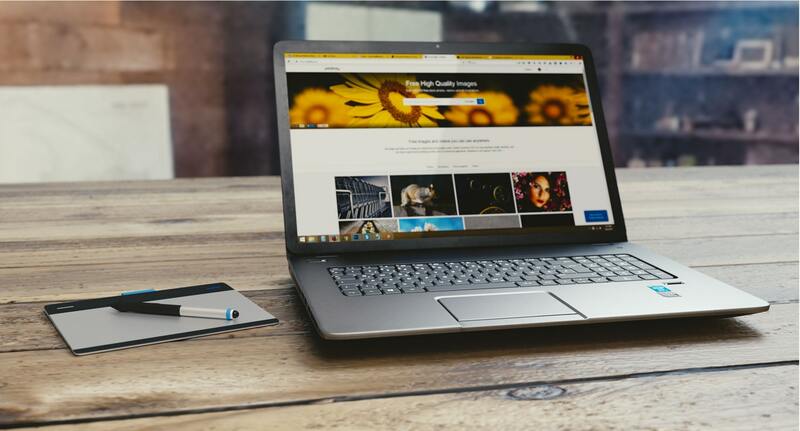 On the other hand if you are a large business that already has an established brand name, it may be very useful to purchase all the domain name extensions in order to prevent competition from using them.